Workplaces should be safe environments where we can carry out our jobs without fear for our health and safety. If you’ve been injured in a scaffolding accident, you may be able to claim. Our experienced personal injury solicitors can help you claim the compensation you deserve. Unfortunately, in some environments accidents and injuries do occur. They’re often the result of unsafe working conditions, due to lack of due care or attention when it comes to workplace safety. Accidents in the workplace can range from the minor to the fatal. In the UK, according to the Health & Safety Executive figures for 2017/18, 1.4 million people are suffering from a work-related illness. Any work conducted at height represents a serious potential hazard. As a consequence, the Work at Height Regulations 2005 stipulate that whenever such a task is undertaken, employers must provide a safe working platform. The definition of a safe working platform will vary depending on the nature of the task being carried out. On construction sites, this will typically take the form of scaffolding. The erection of suitable scaffolding should only be planned and undertaken by competent employees with the appropriate level of knowledge and experience to ensure adequate strength rigidity and stability of the structure. In addition, it is vital that access to the scaffold is not only safe but also effectively controlled. The scaffold must also be constructed in such a way that materials can be loaded, unloaded and distributed safely. Appropriate steps should also be taken to minimise the risk of objects falling from the scaffolding, whilst all employees working in the immediate area should receive appropriate instruction and training. Not all accidents involving scaffolding happen at work. Sometimes innocent bystanders, residents or pedestrians are injured by falling debris, collapsing structures and a wide variety of mishaps. 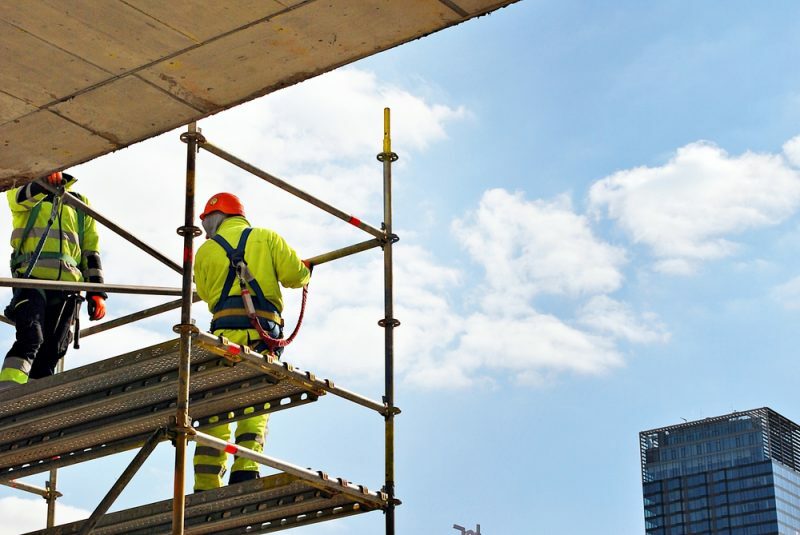 If you’ve suffered an injury as a member of the public because of a scaffolding accident, you may be able to claim compensation from the company responsible for the scaffolding. If you believe that you have a claim, you should contact a solicitor who specialises in Personal Injury. At Jefferies, our team of no win no fee solicitors are experienced in all types of Personal Injury claims, including scaffolding injuries. On behalf of our clients we can issue claims for past and future losses, taking into account pain and suffering, loss of earnings, need for specialist support and physical disabilities. We understand how difficult it can be to make a claim whilst dealing with the physical and emotional stress of your injury. Our team will guide you through the legal process as quickly and simply as possible whilst getting you the compensation you deserve. Contact Jefferies Solicitors to discuss your claim today on 0800 342 3206 or, alternatively, fill out our online form.